The risks of e-mail are well known. Many organisations have experienced attacks that have wasted time and had a significant impact on productivity and on customer experience. Organisations have also lost access to information, personal and confidential data has been compromised and some organisations have even lost significant amounts of money when they have been spoofed into transferring money from their business bank accounts to criminals. A lot has been said and written about the GDPR (General Data Protection Regulation), which is now the basis of the UK Data Protection Act (DPA) 2018. The new Data Protection Act builds on the earlier 20-year old legislation and updates it for the modern digital economy, including specific obligations with regard to the security of personal data. The IT industry has very well-established frameworks for assessing and mitigating risk. A wide range of industries and public sector organisations have needed to build information security into everything they do so that they can protect the Confidentiality, Integrity and Availability (CIA) of data. That learning is reflected in the new regulation. The new Data Protection Act puts specific legal obligations around the security of personal data. 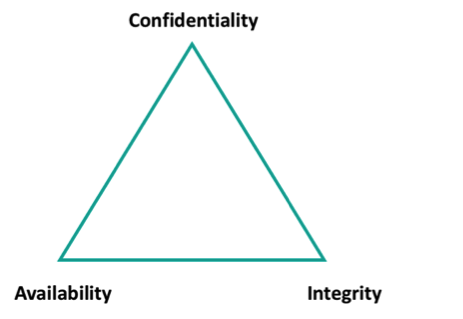 Organisations are required to consider the personal information that they process, how they process personal information and the risks arising out of that processing. They have an obligation to consider the resulting potential for, and scale of, damage that could be inflicted on the rights and freedoms of people relating to security (CIA) breaches and then put in place appropriate controls that are proportionate to those risks and the costs of implementing technology that is available to address those risks. Mimecast S1: This is the comprehensive solution, at entry level, that will provide protection against spam, virus and “phishing” (impersonation attacks). It is available at a low cost and is licenced on a per user per month basis. In our view, this is the minimum service that organisations should put in place to protect their e-mail. Mimecast M2: This builds on the secure e-mail features of S1 and adds in data leak prevention and business continuity, providing users with a portal in the cloud where they can send and receive mail. Mimecast also provide simple to use plug-ins for Microsoft Outlook and client software to use on smartphones. The portal holds copies of mail for 58 days and is a great solution to keep the lights on should there be a problem with the core e-mail system. Mimecast M2A: provides all of the features of M2 and adds the ability to store mail in a secure cloud-based archive for 99 years. In addition to the core Mimecast solutions, add-on options are available and, for a limited time, two of them are available as a “buy one get one free”. Mimecast Large File Send: Enables large attachments, up to 2GB in size, to be shared via e-mail. This retains the advantages of sending mail directly between people, or groups of people and avoids the complexity and many of the risks of managing permissions on cloud-based file sharing systems. In summary, e-mail remains a great way of sharing information, but it does carry many security risks that could case reputational, commercial and legal damage. The good news is that a comprehensive range of solutions is available from Mimecast that can be implemented at a low cost per month per user and Brighter Connections Managed Services Ltd will provide the skills you need for setup, migration and ongoing support. We have a Mimecast bundle available to buy online here, which includes Secure Messaging and Large File Send. Other Mimecast products are also available to purchase online here.